Are you ready to play with some cork?! This awesome pouch goes together so quick you will want to make more! Learn from the designer! 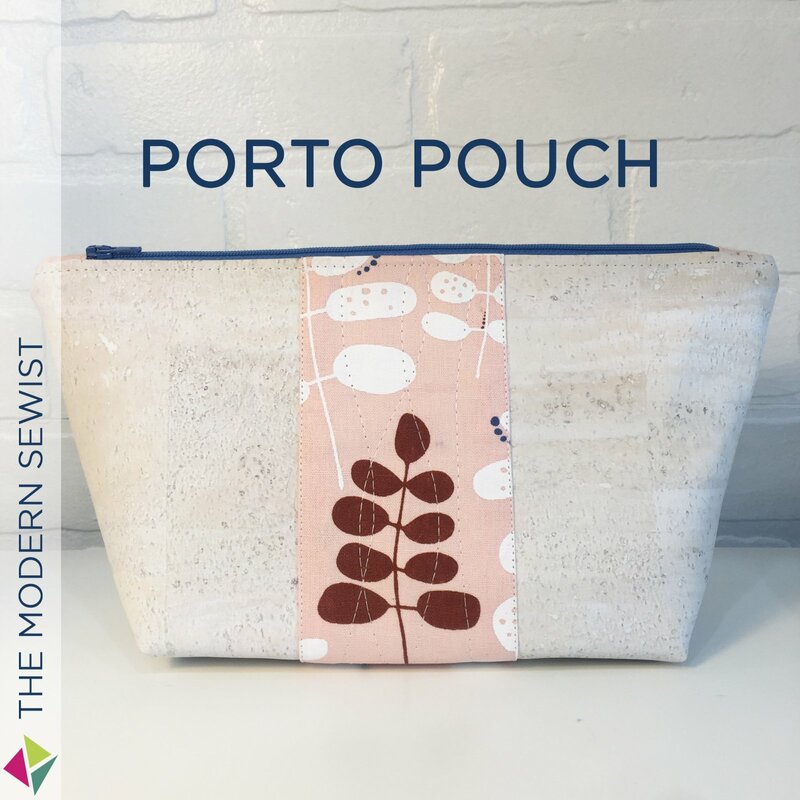 Karis will walk you through making the medium sized Porto Pouch and discuss how to make different sizes as well. Requirements: Basic knowledge of your sewing machine is required for this class. Please bring: Your sewing machine, foot control and cord, a Teflon foot is recommended but not required, a zipper foot, cotton thread, microtex needles, scissors and rotary cutter.